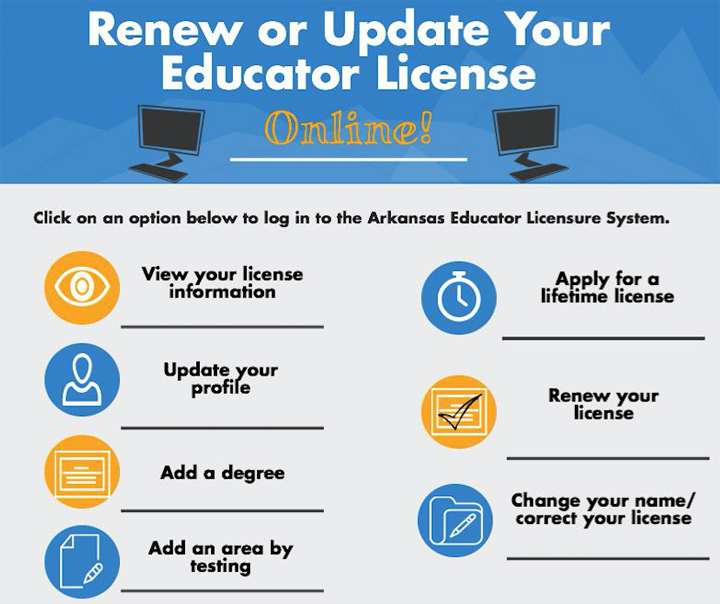 The Arkansas Educator Licensure System (AELS) is the online portal to view, renew, or update your license. If you currently hold an Arkansas teaching license or if you have begun the licensing process, your AELS account is already created. Click the graphic below to connect to AELS. For assistance, call the Arkansas Department of Education licensure office at 501-682-4342 Monday through Friday between the hours of 7:30 AM – 4:30 PM.